I am Chapin same as my Papa. 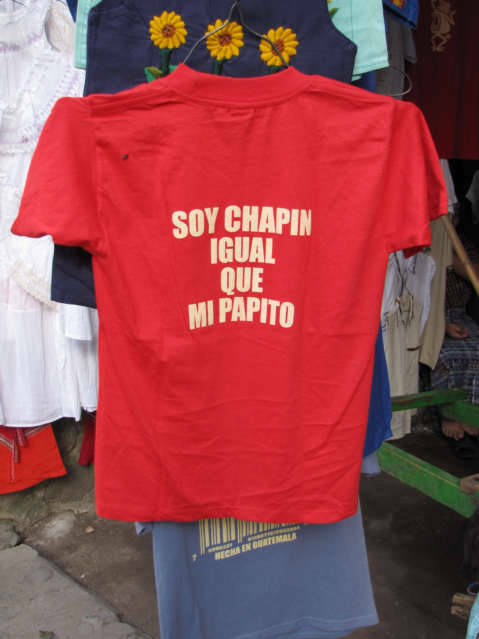 Chapin: Nickname to describe people from Guatemala. Normally I would call them a Guatemalan or Guatemalteco; however, this word could have a problems, not politally correct in Guatemala. Chapin seems to be more what a Mayan would want to call themselves. There is some racial division between the rich Mestizos of Guatemala City and the Mayans of the countryside. I think Chapin also has the connotation of the slang use of the word “Cool” in the USA. 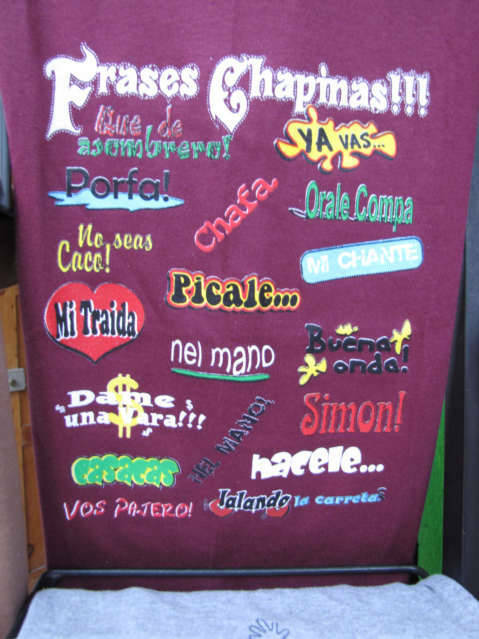 Here is a list of other words that a T-shirt has associated with the word Chapin. Warning, learning a language is full of problems, and to understand slang can take years to understand. This is like a disclaimer, it is possible all my thoughs, opinions and words I typed above could be totally wrong. Yo no esta Chapin.